What are our family Non-Negotiables? Always begin with your 'golden nugget/s or our wins' for the week? Rule of thumb - What are your non-negotiables as a family? 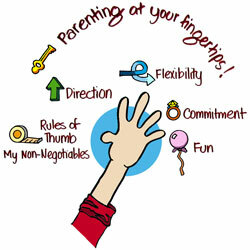 What do you as a parent give permission to regarding family behaviour either consciously or unconsciously? Is dinner around the table or in front of the TV? What is the impact on family relationships? 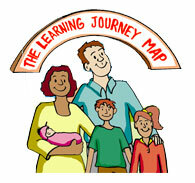 Pointing the direction - what is your vision for your family? Are you setting the vision or are you leaving this to chance? What are some things that we can be more flexible around? What is your degree of flexibility? - understanding your strengths is really critical to understand and develop your family's ability to be flexible regarding meal time, planning, structure and organisational skills and consistency of behaviour you expect from each family member. How do you influence, inspire, motivate and delegate to all members of your family including any step-parenting, step-siblings etc. What commitment can we make to ourselves and each other this week? What is the level of commitment towards each family member regarding the agreements that you have created or could create? How do you gain buy-in from your children regarding their commitments to keep a tidy room? Ring at midnight to let you know that they are safe? What are the fun factors for the coming week? What is the fun factor in your family? When are times that your family laughs together? What do you do on a regular basis to ensure the fun factor is alive and well in your family? Loving and laughing are the two ingredients for family success. If you really want to know how your family is tracking the 360 Feedback will provide you with answers and a framework for building the habit of having fun.